Southern Poverty Law Center apologized to Dr. Ben Carson and removed him from an ‘extremist’ list Wednesday according to Fox News. Regardless, Tulsans are holding meetings to promote the rising Republican presidential contender. The Southern Poverty Law Center apologized to Ben Carson after placing the potential Republican presidential candidate on its “Extremist Watch List” — which is mostly made up of hate groups and white supremacists. Carson was placed on the list last October by the civil rights advocacy group for allegedly being “anti-gay.” The group drew criticism after the listing was reported on last week. Tulsans have planned to “Kick Off” the local campaign for Carson, Thursday March 5 at 6:30 pm at the Mardel Bookstore, 9725 East 71st Street. At that meeting, planning efforts begin for a local large-scale rally, organization of phone list, distribution of campaign material and general brainstorming for ideas to increase support for Carson in the Republican Primary. 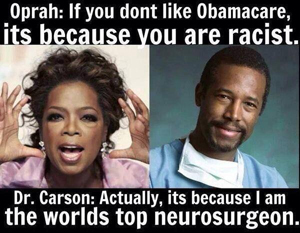 Carson, a neurosurgeon and vocal Obama critic is popular among conservative groups across the country, is currently the only high-profile black candidate considering a White House bid. He has not made a formal announcement about his 2016 plans. For more information on the SPLC reversal, click here for Fox News. 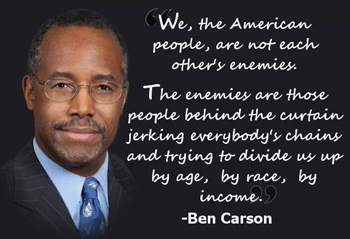 To reach Dr. Ben Carson for President 2016 in Oklahoma, contact Kim Goodman 918.284.1636 or Sandi Heimbach 918.251.8165. 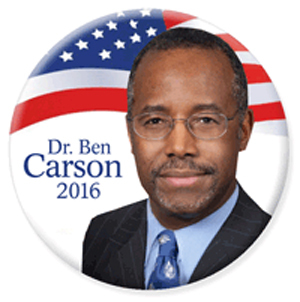 The national draft Ben Carson for President campaign can be reached, by clicking here. This entry was posted in National on February 12, 2015 by admin.